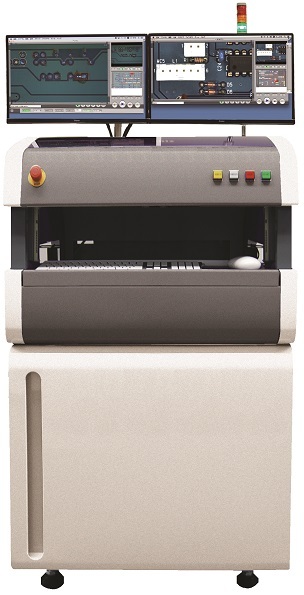 【mek】D series　for parallel inspection | Products （Automatic Visual Inspector ）| MASS CO., LTD. Inspection with 18 cameras in total consisted by main camera and 8 angular cameras for each camera unit. 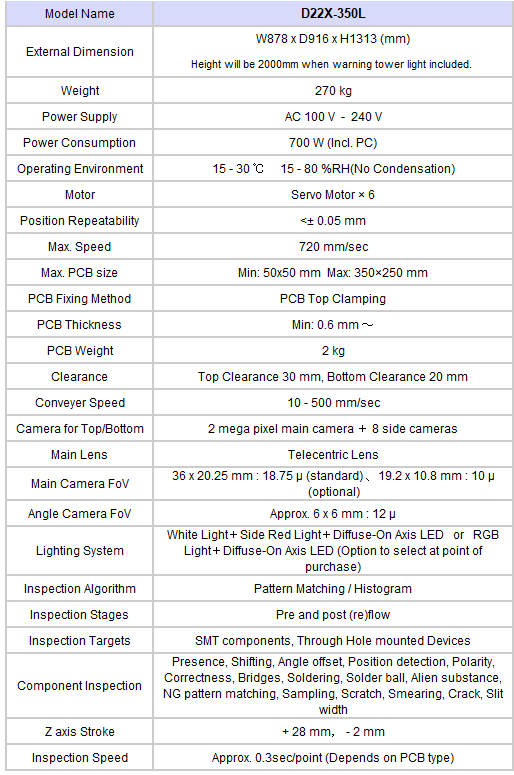 Effective for reducing inspection tact, reducing stress on PCB, space saving, and energy saving. Manage the record of inspection result for both top and bottom in a set. Please note that above specification is subject to change without notice. Please be sure to confirm the updated specification at the time of purchase.